Hello everyone! For today I will be reviewing I received from the my Influenster Voxbox! As you can tell by the title I will be reviewing cookies! I love cookies! My thoughts: I shared most of the cookie with my sisters! Mostly because I'm not a fan of raisins! 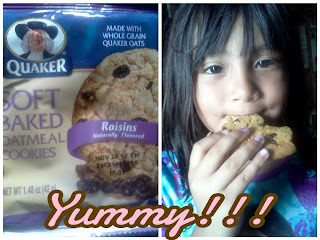 Despite the raisins, I think they are super delicious. The are whole grain which is great and I love how soft they were! If you want a quick and satisfying snack then this is perfect for you! Also a great snack for kids! 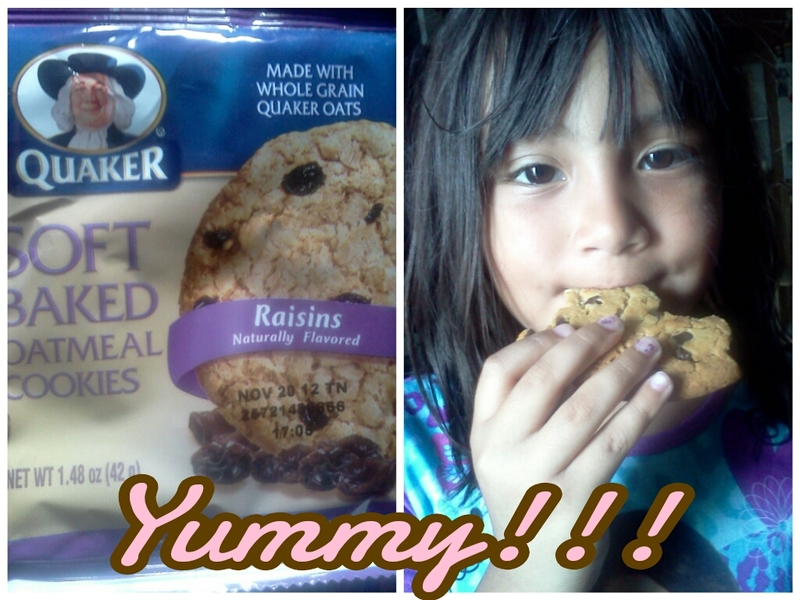 -You can find Quaker Soft Baked Oatmeal Cookies at most major retailers.